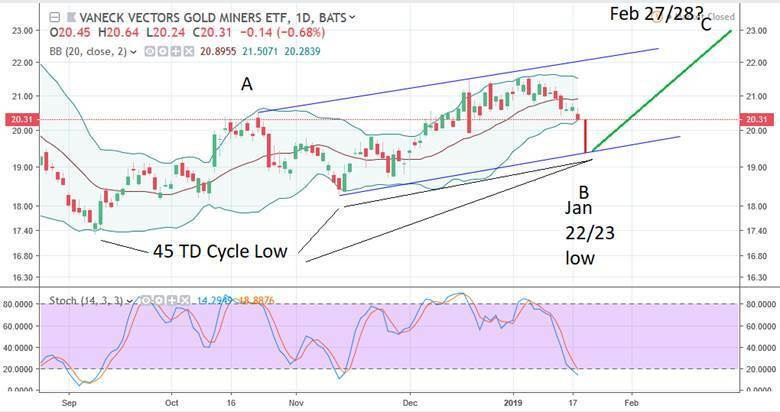 GDX is forming a 45 TD low within the next two trading days and should rally perhaps to 23 by late February. I’m not certain what will happen after that. I still believe gold, silver and the PM’s are in a long term bear since 2011 that will not end until late 2023. 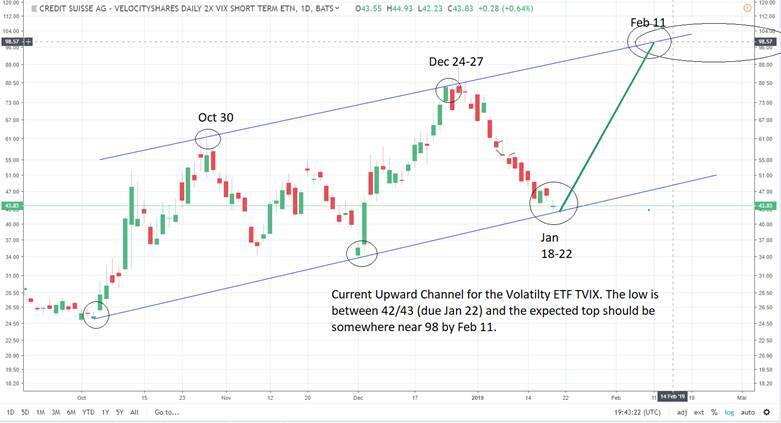 This whole formation looks like a broadening top formation with a final top due around May 2021 to somewhere around 3500/3775 depending on how low we go in 2020 (we could go as low as the 2016 low near 1810). I believe the next down turn after that will rival the Great Depression of 1929-32 and end sometime around early 2024.